In light of current tensions between Ankara and Washington – which escalated to Washington ordering a stay on the delivery of F-35A Lightning II fighter aircraft to Turkey through its newly-signed 2019 National Defence Authorization Act (NDAA) – observers are concerned that Pakistan’s recently-inked purchase of 30 T129 ATAK attack helicopters could be in jeopardy. 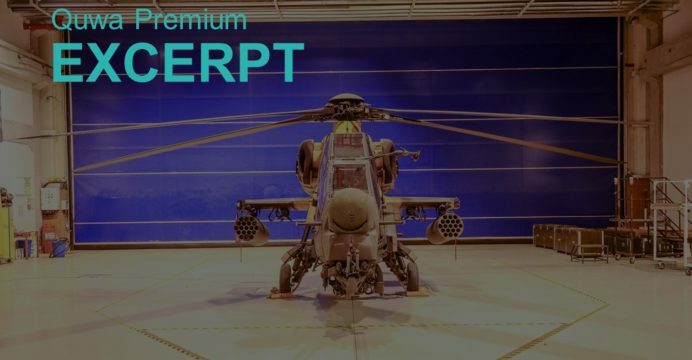 The concern primarily stems from the fact that the T129’s powerplant, the Light Helicopter Turbine Engine Company (LHTEC) CTS800 turboshaft engine, falls under the jurisdiction of ITAR (International Traffic in Arms Regulation). Exporting (be it first-party or third-party) items under ITAR require the approval of the US government. However, it must be noted that no official decision has been made to stay third-party transfer licenses of the CTS800 to Pakistan at this time. Nonetheless, this is an issue worthy of substantive consideration – it follows the fact that the US has shut a NATO ally and well-integrated co-production partner out of the F-35 Lightning II program (albeit, for the time being). Thus, a block on the third-party transfer of CTS800s to Pakistan is plausible given the White House’s animosity to both Ankara and Islamabad, but the details could bring the program to fruition (unless Washington forces another unconventional turn). How is ITAR Relevant to Pakistan? Simply, exporting systems and services falling under the jurisdiction of ITAR require the approval of the US government. ITAR is a control regime designed to restrict access to sensitive technology, be it out of a concern of guarding US secrets or ensuring that US geo-strategic interests are not affected by the export of certain equipment (especially military equipment and critical technology inputs). Burak Age Bekdil. “Diplomatic row jeopardizes $1.5B helicopter deal between Turkey and Pakistan.” Defense News. 13 August 2018. URL: https://www.defensenews.com/global/the-americas/2018/08/13/diplomatic-row-jeopardizes-15b-helicopter-deal-between-turkey-and-pakistan/ (Last Accessed: 17 August 2018). Types of Third Party Transfers. US Department of State. URL: https://www.state.gov/t/pm/rsat/c14028.htm (Last Accessed: 17 August 2018).